DIAGNOSTIC FEATURES: Yellow-green color; pustulate soralia; no pseudocyphellae; black undersurface; medulla P+ red; compare with Flavopunctelia flaventior which has pseudocyphellae and marginal soredia, P-, and Flavoparmelia baltimorensis, found on rock only. 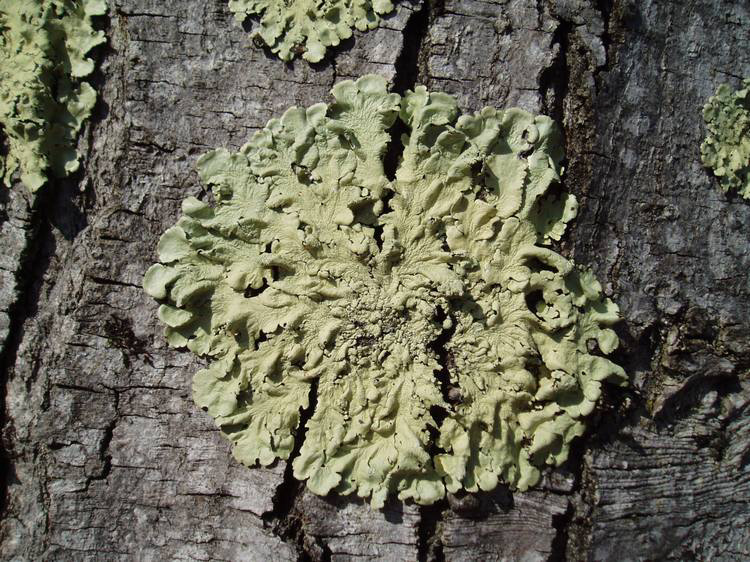 ECOLOGY: Widely distributed in the eastern US; one of the most common lichens in Ohio; almost always found on bark, in full sun to moderate shade. This specis is sensitive to sulfur dioxide air pollution and was previously removed from polluted areas, for instance most of northeastern Ohio. With improved air quality, it has now recolonized most of the affected areas.